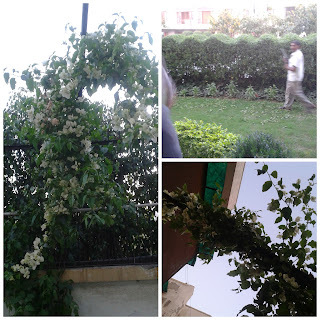 Here today I am sharing with you all, my last few days. Have a lookie. 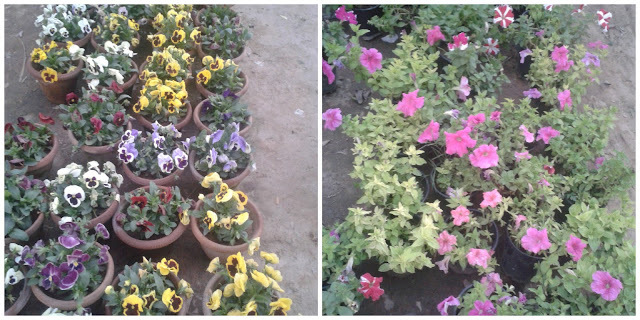 Last week, we went for some plant shopping at the Chattarpur nursuries. These wonderful colors welcomed us . Couldn't stop myself from going al clickety clicky after seeing these vibrant flowers. Aren't they simply gorgeous? So from the nursery we got some citrus plants home. 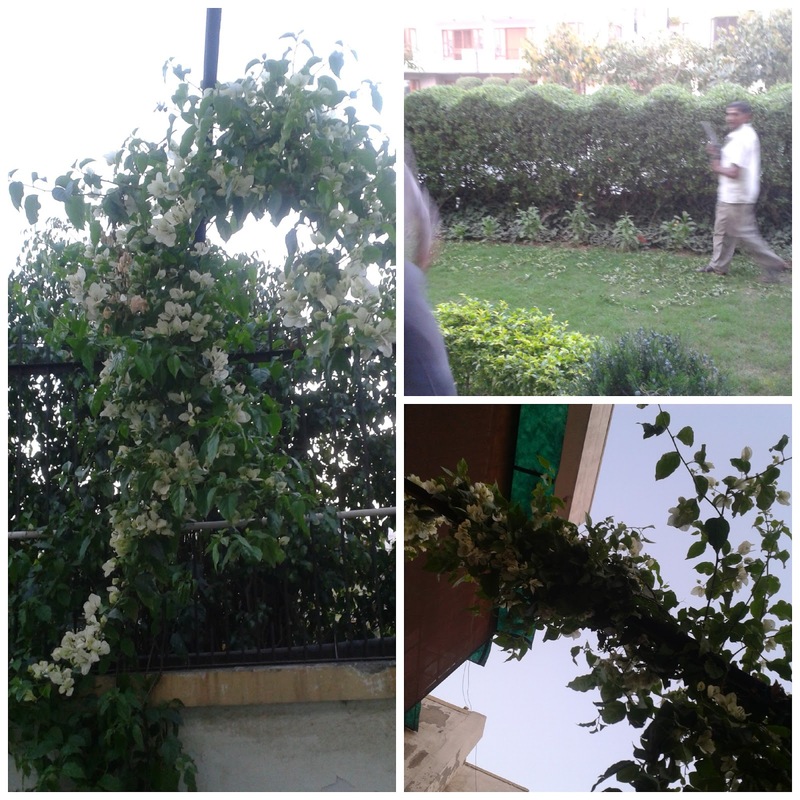 The first pic is the bonsai of orange plant, the second pic shows flowering lemon flowers blossoming in our backyard, and finally my most favourite narangi plant (Chinese Lemon as they say).This plant is fully loaded with small narangis which will soon change its color into bright orange...*Love*. Then there was some more shopping. 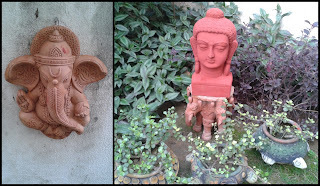 But this time it was some terracotta love. Got these two beauties home. 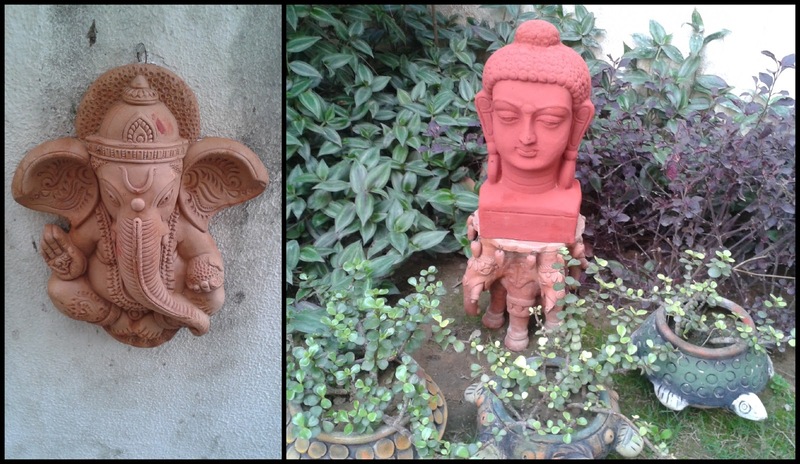 The buddha is gracing our garden in his own zen space and the ganesha hanging hangs pretty at our enterance. Hehe, so this is what I made for my self on my two day detox diet to shed few calories after the hectic wedding season. 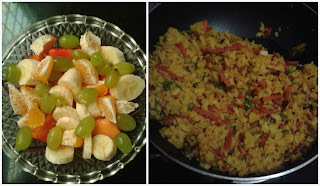 Fruit salad and vegetable poha it is. Testing my culinary skills you see. 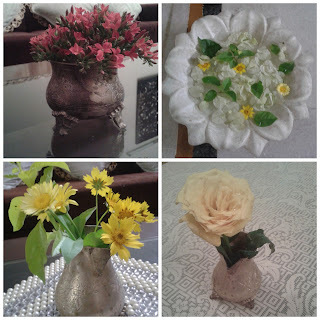 Spring at home: Spring certainly showed its presence felt inside too. Snapshots of some lovely flower arrangements at home. Gardener trimming the hedges in the front garden and the lovely bougainvillea blossoming profusely in our backyard. This was a small tiny plant when we got it home last year and today it makes for such a pretty picture. Good deed: This baby pigeon fell down from his nest and was lying injured in our backyard. 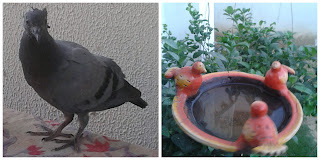 He couldn't fly and was very scared. Feeded him with some seeds and water. He is still there in the backyard and is trying to fly slowly but not high enough to reach to his nest. And this is our lovely bird bath. Got this a while back from Dilli Haat. It is hanging in the backyard for all the thirsty birds out there. Loving these snapshots. It is like a scrapbook of my past few days. All in all last few days were really therapeutic with shopping, healthy food and some good deed. Beautiful garden and really nice additions.